No slow starts in Wednesday night’s second round for the Swiss maestro as he took on Marcel Granollers at the Dubai Duty Free Tennis Championships. However it was far from great tennis too. Roger Federer needed just 71 minutes for a 6-3 6-4 straight sets victory over the Spaniard, moving into his 8th quarterfinal in Dubai, where he will face Nikolay Davydenko. While the scoreline would indicate a relatively straight forward match, Federer struggled later on in the match on break points, and on his serve while up a break in the second set. At times his decisions to come to net were questionable, although he continued to apply pressure at net on the quicker surface here in Dubai. His slice was effective to neutralize rallies and hold for 5-3, saving two break points along the way (and losing two close challenges). After squandering two match points on Granollers’ serve, Federer comfortably served out the match. 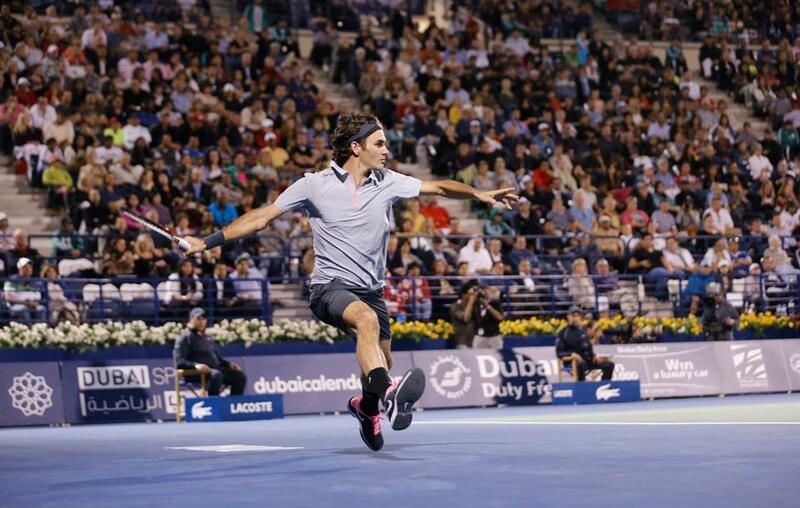 Watch full coverage of the Dubai Duty Free Tennis Championships on FF07tv.